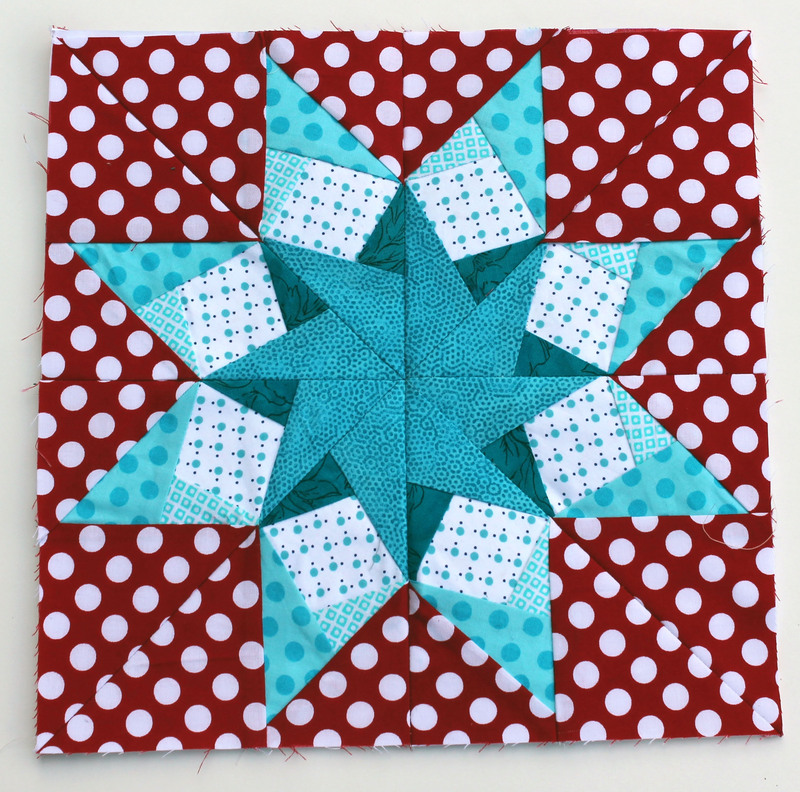 For this weeks block I present Carol Doak’s “Montana Star”, another fabulous pattern from her book “50 Fabulous Paper Pieced Stars“. Yes I am addicted. Yes I should move on, but when there are such great patterns to work with it is hard. 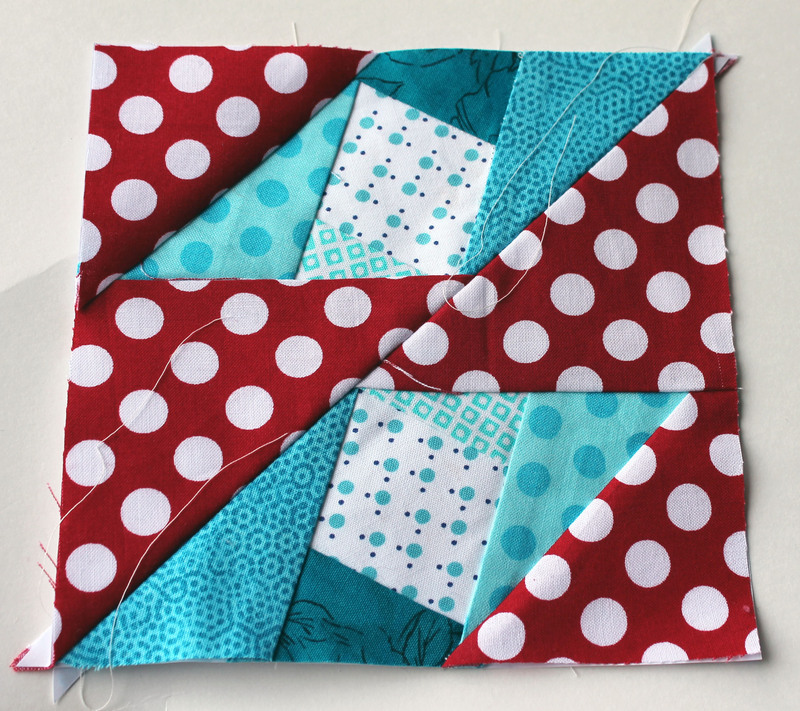 This block is a nice simple pattern with just 56 pieces that make up the eight parts to the block. 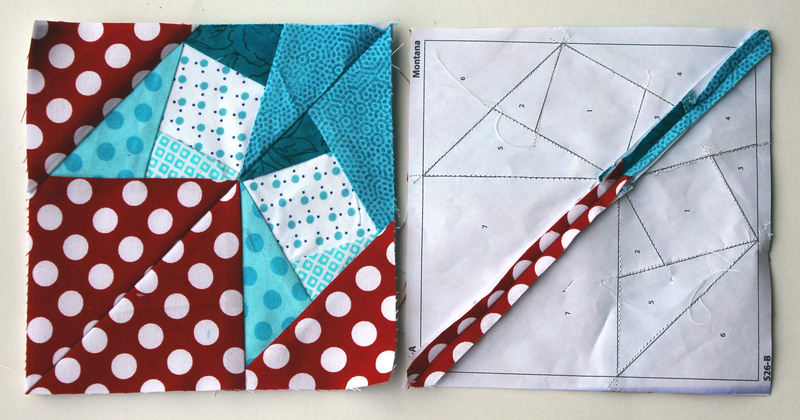 I maybe onto something with this mistake….it could make for an interesting quilt. I will however, leave experimenting with this for another time.